The Breach is a space-based zombie rpg featuring great platformer action and top-notch graphics. 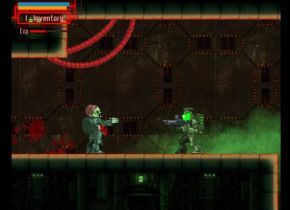 If you like platform games, space-themes and zombies, then you won't be able to go wrong with this game. Click here to play The Breach.